KITENDE – Vipers have completed the signing of former Gor Mahia right back Karim Nizigiyimana. 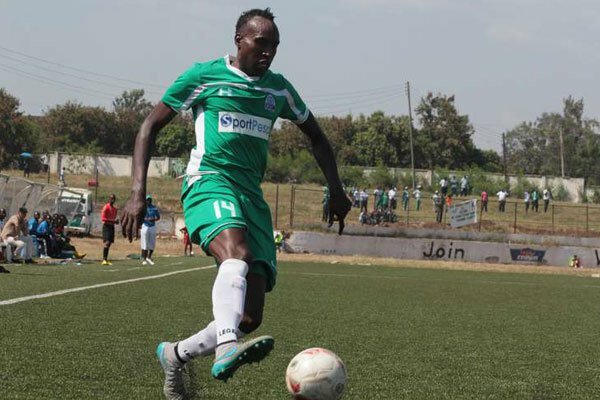 The 29-year-old whose contract with the Kenyan giants expired last December is believed to have put pen to paper on a two year deal at Kitende. Nizigiyimana’s International Transfer Certificate (ITC) is understood to have been issued on Tuesday and is now expected to start official work with the Venoms on Thursday. Nizigiyimana, who captained Burundi in the 2019 Africa Cup of Nations qualifiers, has been at Gor Mahia since 2015 when he joined then from Rwandese side, Rayon Sports. He has won three Kenyan Premier League titles and was voted the best defender in the top flight in his first season. Nizigiyimana has formerly featured for Burundian side Vital’O FC and Congolese giants AS Vita Club among other clubs. He now joins former teammate Innocent Wafula who also joined the Kitende-based club last month. Vipers have now made three signing in the latest transfer window after also securing the services of Hamis Diego Kiiza, last week. Vipers are currently second on the StarTimes Uganda Premier League table, three points behind leaders KCCA FC. The Venoms defeated Nyamityobora FC 1-0 in their last League game. Their next fixtures pits them at home to SC Villa on Staurday.